Home / My Recommendation / Raw Chemistry Review – Results of All RawChemistry Pheromones (Oil & Spray) – Only Here! 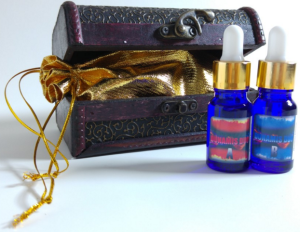 What Is Raw Chemistry Pheromones ? Raw Chemistry is a brand for pheromones manufacturing company based in the U.S., Raw Chemistry lab promotes to make high end pheromones cologne that will trigger social response. They state to incorporate a proprietary blend of natural oils and human grade pheromones which, according to them should protect our skin while leaving a long lasting scent. Raw Chemistry pheromone based formulas are in sprays or oil form and claim to have a silk based moisturizing effect for sensitive skins. According to them, their pheromone based cologne is rated #1 in the pheromone industry owing to their certified quality. Also, Raw Chemistry labs pheromones are said to be non-animal tested. With a good number of selling pheromone cologne on the market, Raw Chemistry lab has, from my research, gained recognition in that many positive reviews were seen about these formulas in different third party websites. Plus, they seem to stand behind each product of theirs. It seems like they now produce new form of product’s bottles, which actually looks better. The direction is that we apply the RawChemistry lab pheromones directly on the body or clothing. According to the manufacturer, we should allow the formula to soak for about one (1) to three (3) minutes. Similarly, we are required to use the Raw Chemistry lab pheromones liberally until a desired scent is achieved. This formula of pheromone, according to the Raw Chemistry lab triggers social response by attracting women. It states to target women’s attraction receptors within their brain. In line with the description of the BOLD-Pheromone Cologne (Spray) for Men to Attract Women, it supports self confidence, creates an enticing long lasting scent owing to its extra strength concentration of the human grade pheromones. The ingredients contained in BOLD-Pheromone Cologne (Spray) for Men to Attract Women are Androstadienone, Androstenol, Androstenone and Androsterone. Our role is to apply the pheromone directly on the body and experience the refreshing scent, according to the RawChemistry Lab. This is another Raw Chemistry lab product of pheromone for men to attract women. The difference here is that it is an oil based formulation unlike the one described earlier which is sprayed. It is known to incorporate a propriety blend of natural oil/pheromones and is alcohol free. This is one feature of all RawChemistry Lab pheromones. This oil based product also gives a long lasting scent whereas the spray last longer. It should be applied to the body to trigger social response. BOLD-Pheromone Cologne (Concentrated Oil) for Men to Attract Women contains ingredients such as Androstadienone, Androstenol, Androstenone and Androsterone. This formula of Raw Chemistry lab pheromone product for women to attract men. 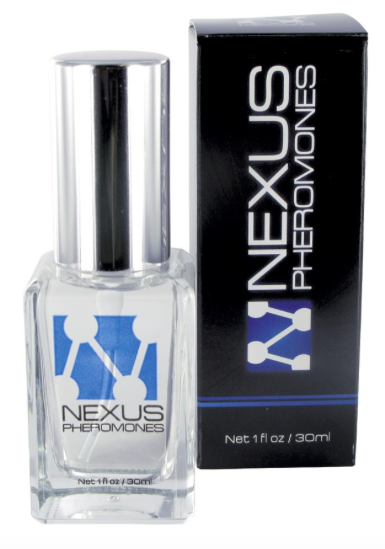 According to them, this pheromone based formula is designed to target men’s attraction receptors in the brain. 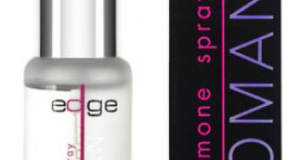 ELEGANCE-Pheromone Perfume (Concentrated Oil) for Women to Attract Men is also alcohol free and gives a silk based moisturizing effect for people with sensitive skin. 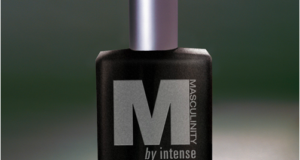 The scent, according to the manufacturer is a proven blend of pheromone for women to attract men. It contains a bulk concentration of Estratetraenol and Copulins as the active ingredients. The usual thing is to apply it to the body to trigger the social response we desire. This is another form of ELEGANCE by the Raw Chemistry lab. It also targets men’s attraction receptors in the brain and it contains exactly the same ingredients (Estratetraenol and Copulins) as the ELEGANCE Oil based pheromone. They elicit the same effects, but the spray formula works faster as according to them. Continue reading to see more details. Raw Chemistry lab promotes to offer the highest grade pheromone based perfumes and cologne with long lasting effects. According to them, their pheromone formulas are rated the best owing to their high passion for quality. Therefore, we are guaranteed of surpassing our intended extent of social and/or sexual attraction. 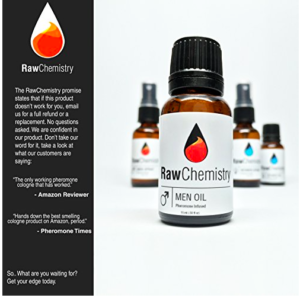 RawChemistry lab promotes to offer refunds to unsatisfied users of their pheromone cologne. According to them, all ordered products are shipped out within 1-2 business days. They state to have their manufacturing lab certified. Raw Chemistry lab can be contacted through email and/or by sending message across to them through a message box on their primary website. Raw Chemistry lab product review undoubtedly has enlightened us, in that we have an idea of what we should expect from their pheromone based perfumes/cologne. They claim to employ the highest grade non-animal tested pheromone, but nothing was mentioned about studies that back up their product claims. 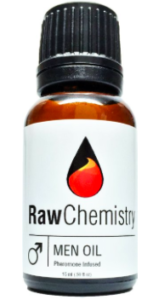 On the other hand, a good number of reviews exist in several third party website where the RawChemistry lab pheromones are found. This is a mark that they stand behind each product of theirs. The fact that we can get our money back if we are not satisfied with the effect we see makes Raw Chemistry lab’s pheromones more credible. So, if you are such a person like me who would prefer to go for a popular and effective pheromone product, head on for Raw Chemistry lab pheromones right away at the Amazon website (www.Amazon.com/Raw-Chemistry-Pheromones). Previous: Human Androstenone Pheromone (Cologne & Perfume) – Will this Guarantee the Needed Attraction? Read Review! Vou tentar esse em Oleo. Ja usei o APC- Androstenone Pheromone Concentrate que funcionou muito bem, já usei tambem o Alter Ego que não funcionou assim como o Euphoria que tambem nao funcionou. Ah sim, nao sei se voce viu os da marca Liquid Alchemy Labs, tipo o Bad Wolf e uma excelente escolha pra nois seducer mulheres.